While it is always clear when a satellite has been launched, determining with certainty that a satellite is no longer actively operating can sometimes take somewhat longer, so there can be a lag in taking those satellites out. This can create small artifacts in the plot. 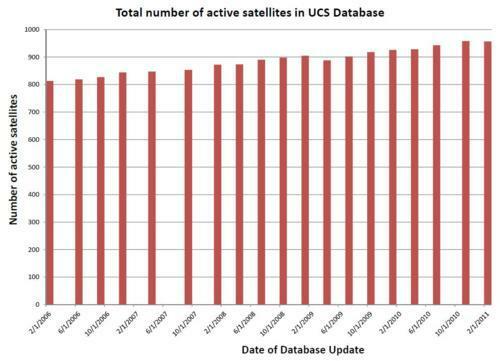 For example, the dip in April 2009 did not reflect a surge in satellite failures. Instead, we had suspected many of these satellites were no longer operational, but at that point found enough sources to confirm that. But all in all, the trend has been remarkably steady.